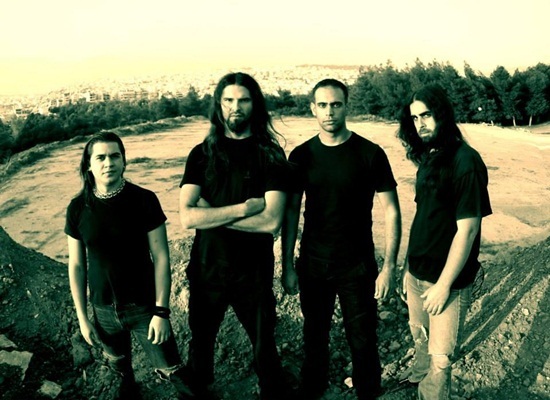 Sickening Horror was formed in Athens, Greece in 2002 by guitarist George Antipatis, Ilias Daras and George Kollias. The band’s history can be traced back to 1999 with an earlier Hellenic formation dubbed Serial Killer. These days Sickening Horror is mostly remembered for introducing a drummer by the name of George Kollias to the world. Prior to “Overflow” the Greeks released two other albums, but this is the first where all pieces fall into place. This record is the most ambitious and artistic Sickening Horror have yet lend their name to. The core trio of George Antipatis (vocals, guitar), Ilias Daras (bass guitar, keyboards), and Andreas Karayiannis (guitar) remain from the preceding album while “Overflow” is the recording debut for new drummer Vasilis Antipatis. With addition of the Antipatis sibling behind the kit the constant rotating drummer slot should be resolved. Even though Sickening Horror released two positively received albums on as many labels prior with “When Landscapes Bled Backwards” (2007) and “The Dead End Experiment” (2009) they never were able to fuse its different elements as the way they do here. 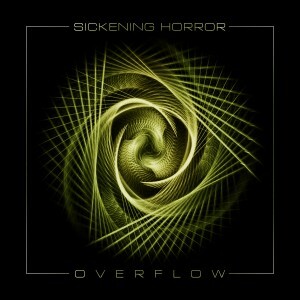 For the first time Sickening Horror is living up to its full potential as a band, and “Overflow” is an artistic success mainly because its composers are no longer limiting themselves by the conventions of the genre in which they made a name for themselves. One of the biggest strides that the band has made on “Overflow”’ in its songwriting is finding a workable equilibrium between the electronic -, technical - and death metal components of its sound. Its debut “When Landscapes Bled Backwards” focused heavily on the death metal aspect, whereas “The Dead End Experiment” was far more adventurous and less conventional genrewise, but technical to the point of excess. “Overflow” finally finds a balance between all three aspects and its elegant mix of influences makes it sound almost effortless. Even though Sickening Horror has had three drummers on as many albums (and as many label partners for that matter) the transition with its latest percussionist is as seamless and natural as one could imagine. Opener ‘Interstellar’ has multiple fantastic guitar leads. The piano that ‘The Day the Worms Became Kings’ introduces is cornerstone to, and one of the most defining facets of, the abum. ‘Fractal Maze’, a track primarily driven by Ilias Daras’ throbbing bass guitar and light piano notes during its first half, sounds closer to Hungarian progressive metal band Dreamgrave than the traditional death metal Sickening Horror focused on with previous efforts. The only thing amiss seem to be guest vocals by the classically trained Mária Molnár. ‘Red Pill Initiation’ continues with the piano usage, and proves that Sickening Horror is made up of versatile musicians that could have easily played in formative American genre act Death. ‘I, Explorer in Akashic Fields’ is the most ambitious song, both in structure and concept, the band has ever penned. ‘Of Lives Never Lived’ builds further on the Hindu and Buddhist philosophy of the preceding track. ‘Versus Entropia’ opens with a bass guitar solo and the piano returns once again. Restraint, a factor so often missing in the more contemporary and technical forms of death metal, is key to “Overflow” being the resounding artistic victory that it is. Whereas many younger acts insist of putting in as many riffs, notes, and time changes as humanly possible Sickening Horror’s latest is all about restraint and pacing. When it moves into technical and extreme territory it does so convincingly, yet the majority of the record isn’t overly concerned with adhering to contemporary death metal conventions. The pace is languid at times, and the record is more concerned with feeling and atmosphere rather than with cramming in as many notes as possible. As such “Overflow” is an extreme metal album first, and a death metal record second. Clearly it was a labor of love for all involved, and the album reflects the strong artistry that flows through out. 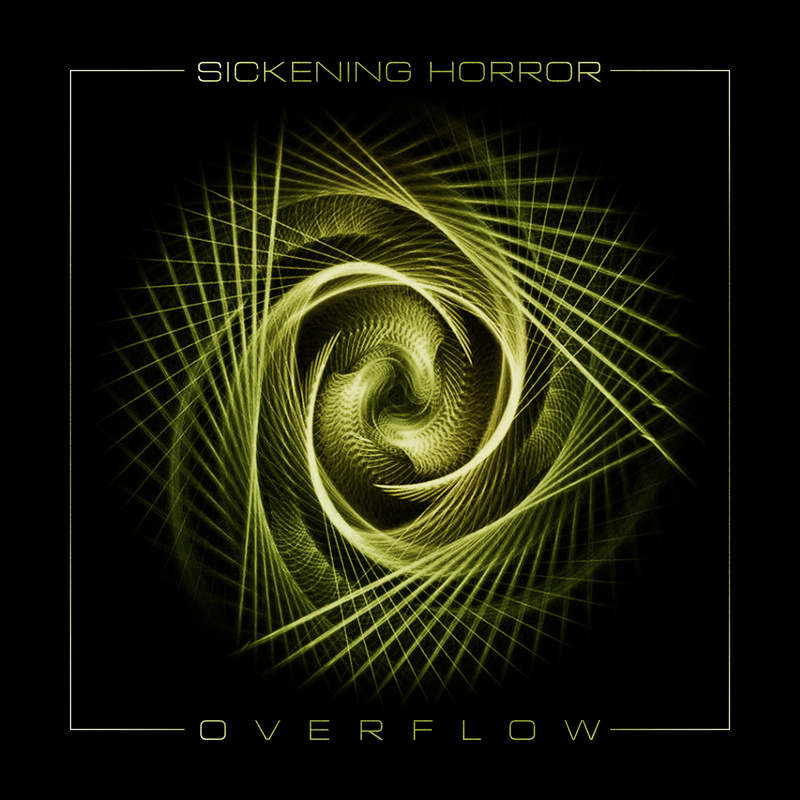 “Overflow” sees Greek band Sickening Horror moving away from the genre’s typical trappings and towards more breezy and atmospheric territory. Where in the past the band was heavily indebted to the likes of Hate Eternal and early Nile now Sickening Horror is moving into the realms inhabited by bands as Odetosun. More than ever before there’s a greater focus on, and bigger prominence of, sparkling, emotive guitar leads within the music of Sickening Horror. The thundering and concrete sounding bass guitar is integral to each of the compositions. The extended usage of piano through out the album adds a rather unexpected atmospheric flair that this band previously didn’t have. The electronics and industrial elements seemingly are completely toned out in favor of the far better sounding piano. With the solos/leads becoming more of a focal point there’s a sense of musicality that Sickening Horror’s structurally rigid past albums didn’t have. On all fronts “Overflow” is gigantic step forward as a musical – and artistic statement. The door is wide out for Sickening Horror to further explore this direction. Unlike its preceding two records Sickening Horror crafted “Overflow” on its own terms and on its own time. The album was recorded, mixed and mastered at the band’s own Dysmorphia Studio with guitarist Andreas Karayiannis producing. The production evenly distributes all instruments yet gives the bass guitar all the space it needs to fully complement the crunchy guitars. The drum tone, often the bane of earlier Sickening Horror records, is commanding but clear with organic tones for snares, cymbals and kicks. The production bathes in an organic warmth that preceding Sickening Horror albums lacked so severely. Every defect that previously harmed Sickening Horror has been duly corrected with this effort. “Overflow” is the band’s career defining moment. The abstract artwork by Dimitris Tsountaros is a signpost for the significant changes Sickening Horror introduced on this record. Besides that it is a much welcomed breath of fresh air as death metal artwork have been getting increasingly more comical, over-the-top and caricatural over the last half decade. In fact the artwork looks like anything you’d expect of a stereotypical metal band, let alone a death metal one. The change in both artwork and logo is telling – as obviously Sickening Horror is no longer concerned with fitting the genre’s limited and limiting conventions. “Overflow” is a record about breaking away from established conventions and defying expectations. For that reason alone it is alltogether more interesting because it finally embraces the innate artistry that both George Antipatis and Ilias Daras have been hinting at for so long now.